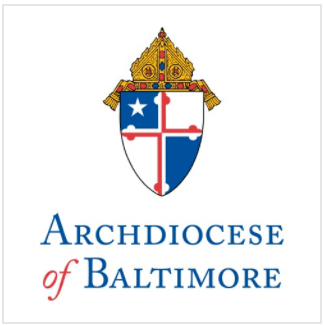 Edwin Cardinal O’Brien will ordain two deacons during a Mass on May 12 at 10 a.m. at the Basilica of the Assumption in Baltimore. Both men will be ordained Transitional Deacons. Transitional deacons go on to become priests, while permanent deacons do not. As deacons, the men will be able to proclaim the Gospel during Mass, perform baptisms, witness marriages, perform vigil services and bring Communion to the sick. The two men to be ordained are 45-year-old Angel Adiudd Marrero Rosario of Puerto Rico and Hamilton Okeke, 32, of Nigeria. Angel Rosario previously served in the Army National Guard Reserves for eight years and is completing his formation at St. Mary’s Seminary & University in Roland Park following several years of seminary training in Puerto Rico. He is being sponsored to become a chaplain for the Archdiocese for the Military Services, U.S.A.
Hamilton Okeke was born and raised in Ufuma, Nigeria in West Africa. While studying for his Bachelor of Arts in Philosophy at the University of Uyo in Nigeria, Hamilton met Father Sylvester Peterka, C.M., Pastor of St. Cecilia Church in Baltimore, who was in Africa performing missionary work. Fr. Peterka befriended Hamilton and encouraged him to study for the priesthood for the Archdiocese of Baltimore. In 2007, he arrived to the United States and is currently enrolled at St. Mary’s Seminary as a third year theologian. In addition to the ordination of two new deacons, four men will be ordained priests for the Archdiocese by newly-installed Archbishop William E. Lori on Saturday, June 9 at 10 a.m. at the Cathedral of Mary Our Queen.